At ASAP Water Heaters, quality comes first. That in mind, not all water heaters are created equal. That is why we carry a complete line of Bradford White, AO Smith and Eternal Water Heaters. Our experience in the water heater business has put these water heaters to the test and they deliver time and time again. Our water heaters are the most technologically advanced manufacturers of water heating. 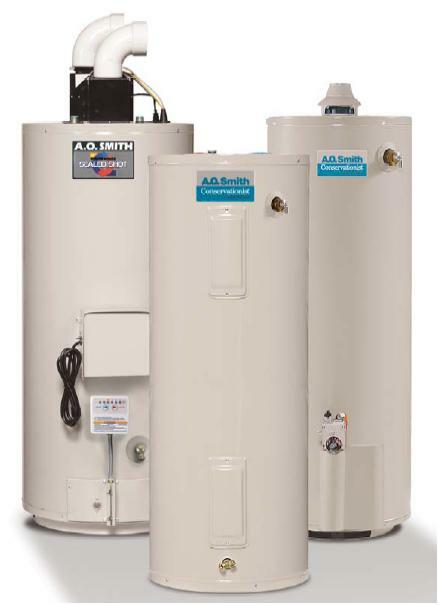 A single-family storage water heater offers a ready reservoir from 20 to 80 gallons of hot water. It operates by releasing that hot water, cold water enters the bottom of the tank, ensuring that the tank is always full. Conventional storage water heater fuel sources include gas, propane, fuel, oil, and electricity. Natural gas and propane water heaters basically operate the same. A gas burner und the tank heats the water. 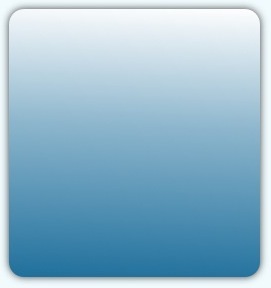 A thermostat opens the gas valve as the water temperature falls. The valve closes when the temperature rises tot he burners that mix oil and air in a vaporizing mist, ignited by an electric spark. Electric water heaters have one or two electric elements; each with its own thermostat. With two electric elements , a standby element at the bottom of the tank maintains the minimum thermostat setting while the upper demand element provides hot water recovery when demand heightens. 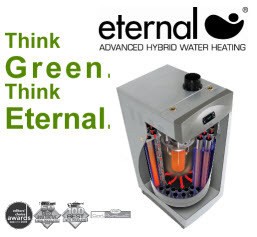 We also offer Eternal's unique technology in a tank and tankless option. In Eternal's Counter Flow design, cold water enters from the bottom up as a way of self cleaning the sedimentation, while heat is pushed through 44 radiating transfer pipes. The end result is a small heat exchanger that is capable of replacing multiple tanks, while supplying endless hot water with consistent water pressure and doing it efficiently time after time. Call today to learn more about this revolutionary technology.